This just may be the highlight of your vacation, we hear that very often from our guests! At Hawaii Adventure Diving we offer Pelagic Free Dives with sharks (no cage) and also Shark Cage Tours. You are always accompanied by a professional Divemaster with years of shark diving experience. These tours are an educational experience as well, you’ll learn all about shark behavior, the different species of sharks, conservation measures in place and so much more, ask any questions you may have and we have the answers! Check out our Yelp or Trip Advisor reviews for Hawaii Adventure Diving to see what other people have said and see all the pics they have posted too. 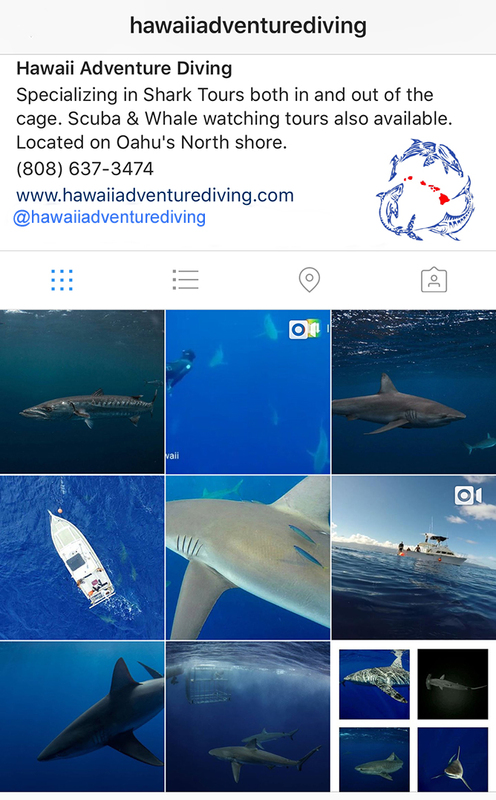 We’re also very active on Instagram, search for us @HawaiiAdventureDiving to see beautiful photography and video! 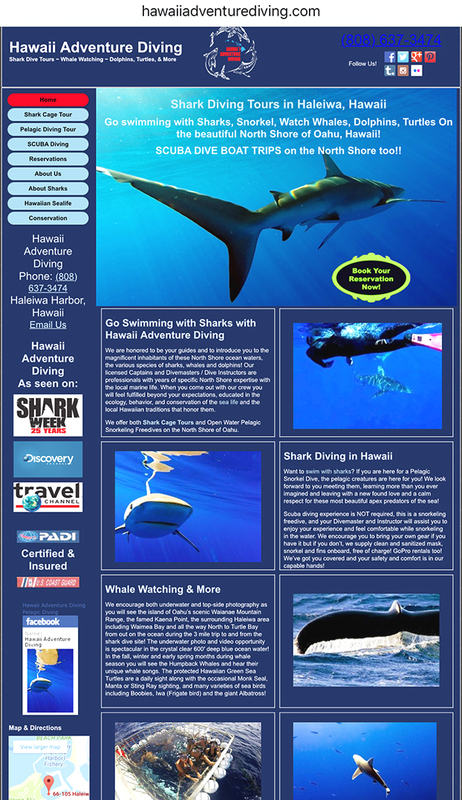 You can book online from this website by choosing the 1 More Shark Dive Boat under the Charter Boats tab and use the reservations calendar to book your dive or cage tour, or you can go to the Hawaii Adventure Diving website in the link below to read lots more information about this exciting experience. We also offer boat Scuba Diving trips to the reefs for certified Scuba divers and Whale Watching Cruises during the Humpback Whale season. See you in the water soon! Aloha!